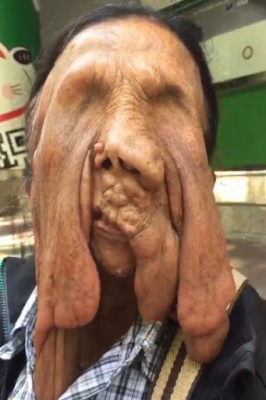 A Grandmother whose face is melting due to a rare condition is refusing surgery out of fear that an operation will lead to her death. 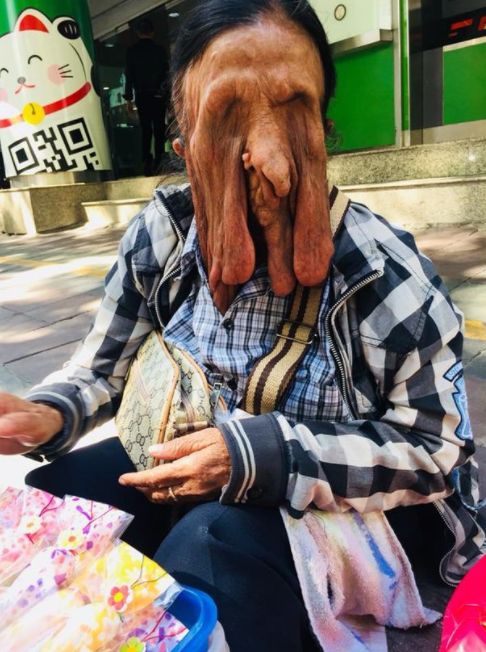 Wiang Boonmee, 63, from Thailand, went blind in both eyes after developing abnormal growths that spread across her face, covering her eyes and twisting her nose and mouth out of shape.She developed the condition as a child and it only got worse as the years went by. Several decades later, the unsightly growths hang off her face making it looks as though her skin is melting. Wiang leads as close to a normal life as she can, despite her condition, She still works to earn a living. She recently moved from her home in rural Surin province to capital Bangkok where she scrapes together a living selling accessories on the pavement in the centre of the city. The mother-of-one's condition received attention last week when medics were contacted to request assistance for her. But Wiang has refused help despite the severity of her condition, believed to be related to neurofibromatosis. This is because she is afraid of dying on the operating table. 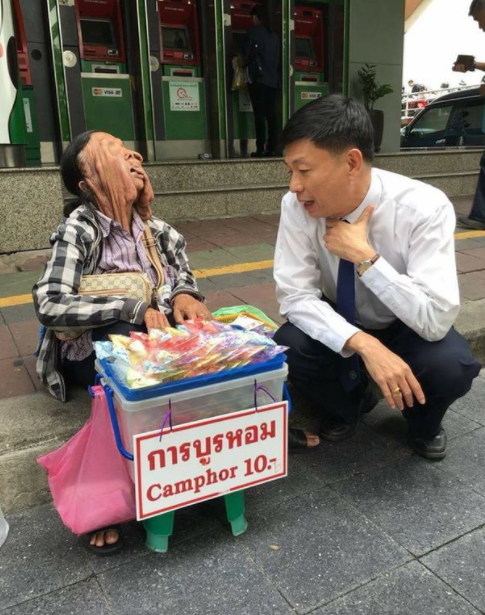 Dr Sunura Ourairat, President of Rangsit University, visited Wiang on the street on Friday to offer to help her get medical attention. He said: 'I have asked for assistance from the Ministry of Public Health and asked for doctors to visit this grandmother. She is blind and originally from the north east region. We are welcome and ready to help with surgery but she is afraid of dying. She said thank you to everybody for trying to help. We will continue to see what can be done for her."